Speaking at the press launch of Deloitte’s new Harnessing the ‘bang’: Stories from the digital frontline, Telstra Digital executive director, Gerd Schenkel, shared how the telco giant has made digital core to its operational approach in order to drive better experiences with its customers. Telstra’s digital transformation is one of four case study examples Deloitte is using in the new report to showcase how industries significantly impacted by digital disruption can successfully adapt to the change it represents. The insights report is a follow-up to Deloitte’s <i> Digital Disruption - Short fuse, big bang</i> research, which was released last year and seeks to identify the extent of digital’s impact on the 18 key industries driving Australia’s economy in the five years to 2017. 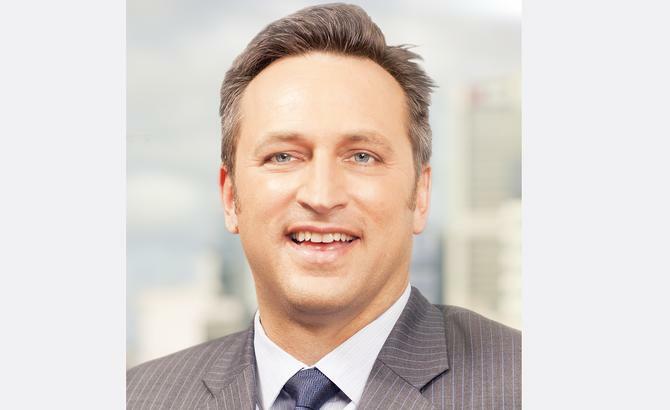 Telstra is currently at the end of a three-year digital agenda that started with the creation of a dedicated digital channel group alongside retail and contact centres. Over the next three years, the telco plans to expand out its digital capabilities across the wider business. While agreeing that there is no right way of embracing digital, Schenkel said Telstra had to change its core operational approach to become more digitally aligned. To do this, digital activities needed to be part of the core operational framework. Schenkel said having equal footing with his retail and contact centre peers allows teams to work more closely together and execute digital in a more coordinated fashion. Expectation management was also vital if the digital transformation was to stick at Telstra, Schenkel continued. He explained Telstra Digital’s portfolio has three tiers: Quick and visible wins; core commercial activities that require meaningful investment but deliver significant payback; and pure infrastructure investments. An example of a quick win was servicing customers through social channels, while significant technology infrastructure investments included replacing the identity layer at Telstra, a project worth millions of dollars. “You can only afford a small number of large things and if one goes off, then financially the agenda is derailed. But if you don’t do any of them, you haven’t moved forward,” Schenkel commented. Innovating through digital is another link in Telstra’s transformation, and Schenkel highlighted its 24/7 mobile app, livechat contact centre capabilities, and CrowdSupport customer service platform and forum as major successes. Failure is just as important as success, and Schenkel cited an example earlier this year where Telstra experimented with Facebook apps using the same information as it provided with its successful 24/7 mobile app. Although it was well received on the mobile app, Facebook didn’t take off. “The insight we learnt is that when users are on Facebook, they’re not interested in doing administrative tasks like managing bills – they’re in a socialising space, like they would be at a pub,” he said. “But it is a space where people feel comfortable complaining or expressing dissatisfaction. To make it all happen, Telstra Digital team initially brought together people across the business running websites, but Schenkel said the majority of staff have since come from outside the organisation. “With this kind of story and support, and having our CEO, David Thodey, out there talking about digital, helps in hiring people who want a digital career and would not have joined a corporate necessarily beforehand,” Schenkel said. Three years on, digital now accounts for more than 40 per cent of Telstra’s total payment transactions, and customer interactions online have grown from 50 million per annum to more than 250 million. Key metrics Telstra is using to measure its digital success include the digital share of sales volume and transactions, Net Promoter Scores for specific activities as well as the wider company’s objectives, and monthly employee engagement scores. Schenkel said the next phase will see Telstra Digital applying digital methods and technology into other eight parts of the business. One is bringing digital innovation to its technicians network to improve customer engagement as well as the efficiency of staff on-the-road. “We know the field force would be far more effective servicing those customers if they were connected to the digital ecosystem in many different ways,” he said. Schenkel admitted making this kind of digital transformation requires Telstra to provide value both to its customers, as well as employees.